We at Clayton Farms want to promote Food Independence and self- sufficiency by building and starting gardens for people. We are passionate about helping people become self reliant and creating ecologically friendly gardens where people can create their own sustainable food systems. We believe in the concept mentioned in the Chinese proverb- “Give a man a fish and you feed him for a day, teach a man to fish and you feed him for a lifetime”. 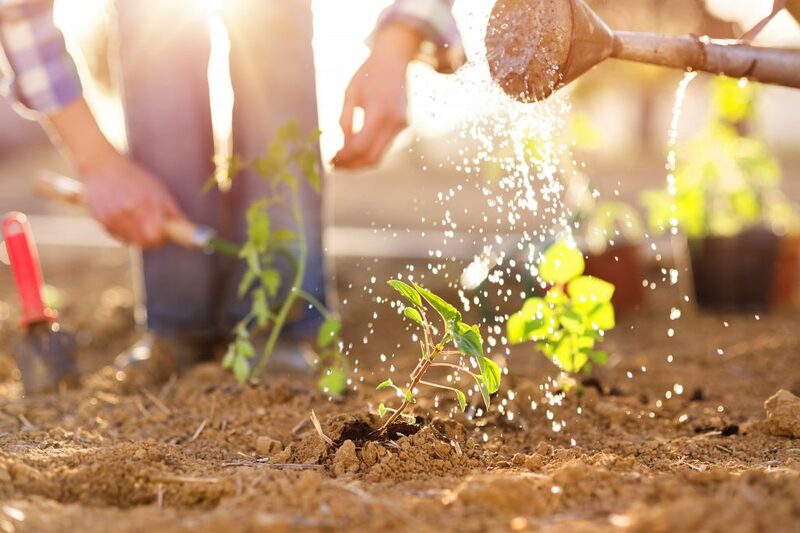 There is a wonderful sense of independence in knowing that you are capable of growing your own food as well as the stress relief and other health benefits of gardening. We use organic compost and wood that is not chemically treated. We can also supply you with non-GMO seeds and/or transplants such as tomato plants, peppers, lettuce, etc. $150 per 4-ft by 8-ft Standard raised bed garden (built with 2x4s = a 4 inch depth) which we fill with High Quality Organic Compost. This works if you have good soil and the plant’s root structure can penetrate into it. ***Most Popular***$225 per ft by 8 ft Premium raised bed garden (built with 2x6s = a 6 inch depth) which we fill with High quality organic compost. This is our recommended depth for most crops. We have seen great success with this size raised bed. $295 per 4-ft by 8-ft Deluxe raised bed garden (built with 2x8s = a 8 inch depth) also filled with High Quality Organic Compost. $125 per 4-ft by 4-ft Kids garden. Watch your children learn about where food comes from as they grow and then eat their own veggies. Special kids garden tools come with purchase of garden. We can build a Fence and/or mulch around the garden if needed for an additional cost. We can also supply you with a maintenance plan and advice. Free assessment and estimate. Email us at claytonfarmsmd@gmail.com or call 443-834-4760 to set up your estimate. We book quickly during the spring, so don’t delay!